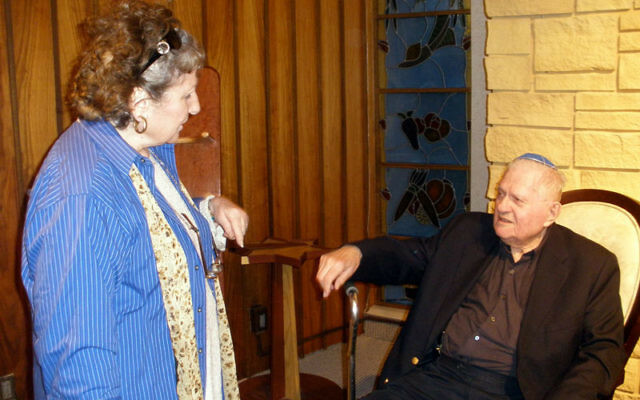 Ira Shapiro recounted seeing skeletal Jews digging mass graves for others who died at Dachau; he himself was barely alive, surviving on little more than a daily bowl of watery soup. But Shapiro was different from most of the other thousands of Jews suffering internment at the concentration camp. A New York-born American military officer, he had been captured by the Germans during the winter 1944-45 Battle of the Bulge and held at the camp for five months. 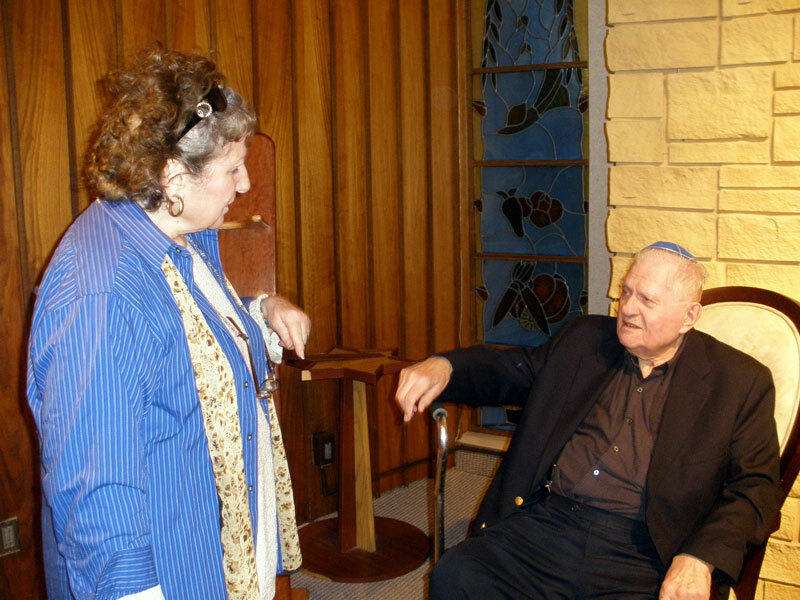 On April 28, the 91-year-old Somerset resident and Beth El member spoke about his experiences at the annual Yom Hashoa commemoration at Temple Beth El of Somerset. As a U.S. Army major, Shapiro said, he was commander of a four-person armored vehicle crew — all, coincidentally, Jews. He recalled the day they were making their way through the forests of the Ardennes region in Belgium, part of the Allied advance on Germany. The snow was so deep “we couldn’t see in front of us,” he remembered. They suddenly heard banging on the vehicle door and someone shouting, “everybody out,” in an unmistakable American accent. The Germans who had stopped them were dressed in uniforms they had taken from dead American soldiers and spoke flawless American English, said Shapiro. Concerned about their fate if the Nazi soldiers discovered they were Jewish, Shapiro and his crew ripped off their dog tags, which included an “H” for “Hebrew,” and threw them in the snow. They expected the worst — that they would be killed immediately because there was no prisoner of war camp in the area. But, said Shapiro, for reasons he never learned, a German commander stepped forward to take personal charge of the Americans, who were then driven south. Days later, they were taken to what they assumed was a POW camp. The next day the Americans went to another part of the camp, as instructed by that guard, and witnessed a scene that, Shapiro said, will forever haunt him. “We saw people wearing striped suits,” he told the gathering. “Some were wearing stars of David. Others had no clothes on. All were skin and bones.” They were digging what he estimated to be a two-story-high mass grave into which they were forced to shove body after body, covering each layer with lime. On April 29, 1945, Dachau was liberated by the U.S. Army. Shapiro and one of his fellow soldiers each got into a jeep to guide American commanders on an inspection of the horrors of the camp. Gen. Dwight D. Eisenhower, the supreme commander of the Allied forces, came days later to see for himself. But as he was leaving the area, Shapiro stopped in the local post office, where he saw lists of names and numbers of every Jew killed. “They were proud” of what they did, he said.